To view additional photos, [click here]. 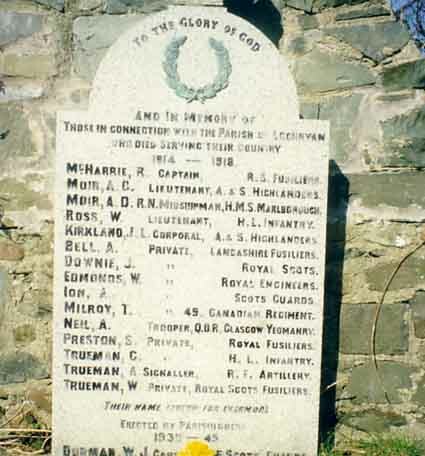 The war memorial, decorated with a laurel wreath, is situated in the little graveyard to the North of Cairnryan village. The church no longer exists.